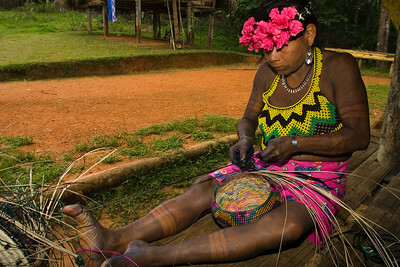 Embera women weaving basket out of dyed straw, Chagres National Park, Panama. 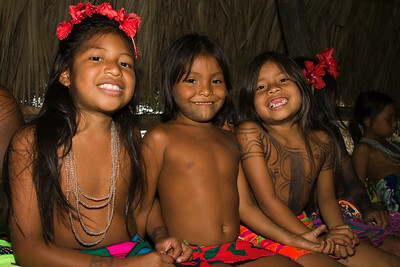 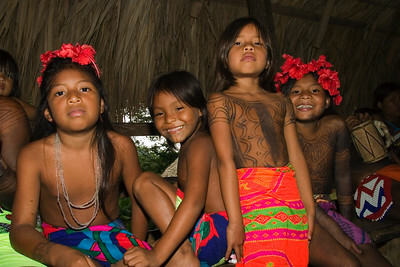 Embera children paint dye on themselves in decorative patterns. 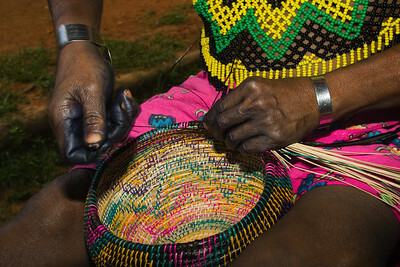 Dye is also a repellant from bugs. 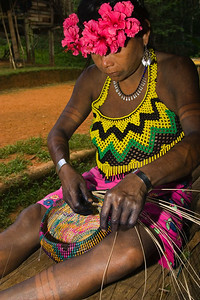 Embera woman weaves a basket out of dyed straws. 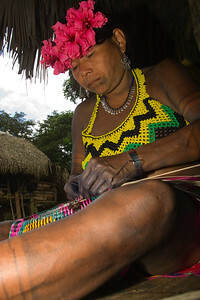 Chagres National Park, Panama. 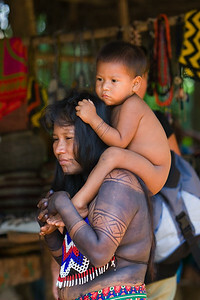 Embera boy with his mother, Chagres National Park, Panama. 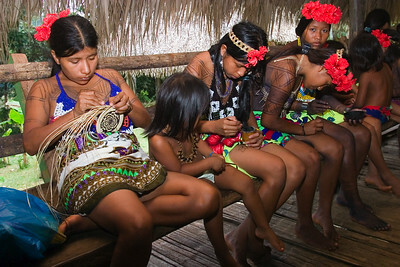 Embera gilrs painting dye on themselves. 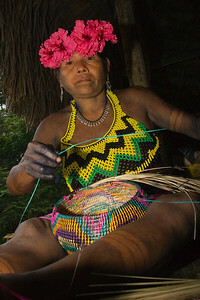 They dye not only serves as decorative art, but also as a bug repellant. 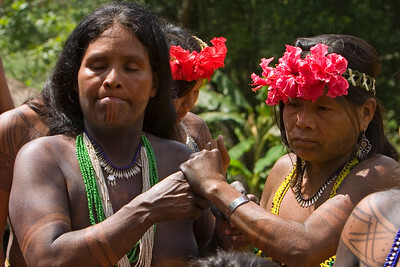 Chagres National Park, Panama. 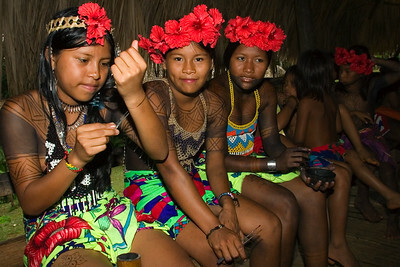 Embera girls painting dye on tourist, Chagres National Park, Panama. 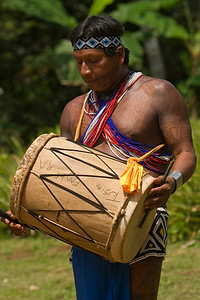 Embera man with drum and painted in dye, Chagres National Park, Panama. 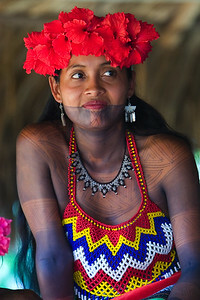 Embera woman wearing a headress of flowers and intriciate hand beaded blouse and necklace, Chagres National Park, Panama. 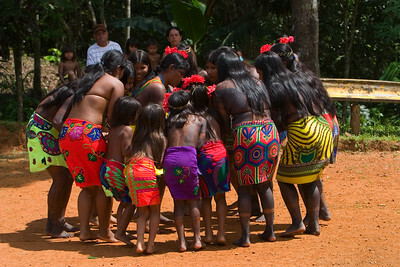 Embera women and children perform traditional dance, Chagres National Park, Panama. 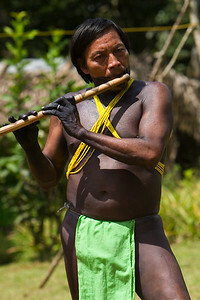 Embera man playing some sort of hand made flute, Chagres National Park, Panama. 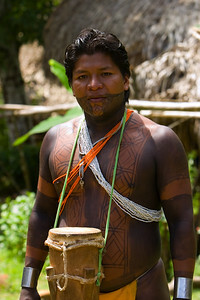 Embera man painted in dye, Chagres National Park, Panama. 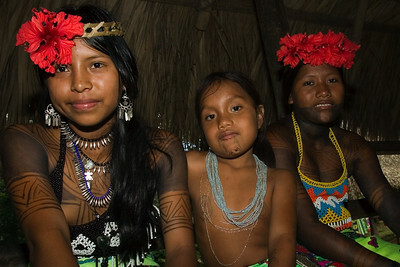 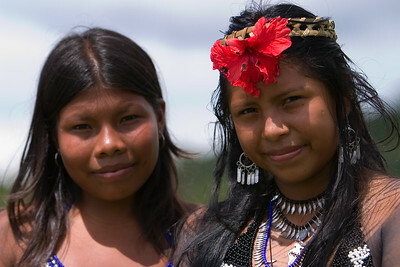 Embera women, Chagres National Park, Panama. 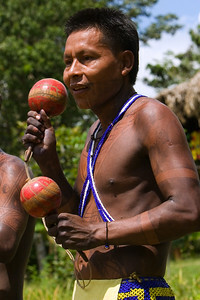 Embera men playing instruments, Chagres National Park, Panama. 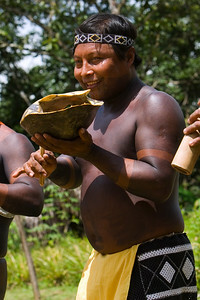 Embera men playing music, Chagres National Park, Panama. 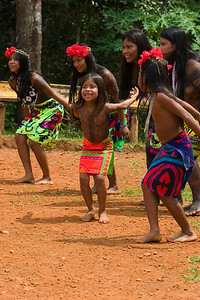 Embera men and women dancing, Chagres National Park, Panama. 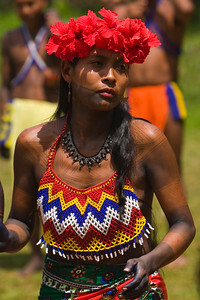 Embera girl, Chagres National Park, Panama. 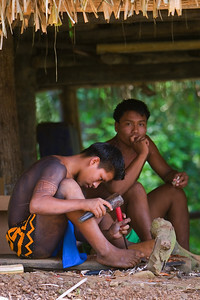 Embera men, carving. 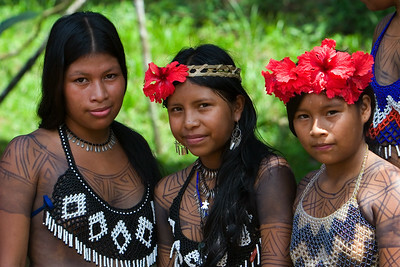 Chagres National Park, Panama. 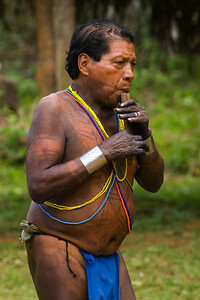 Embera boy sitting on the rail, Chagres National Park, Panama. 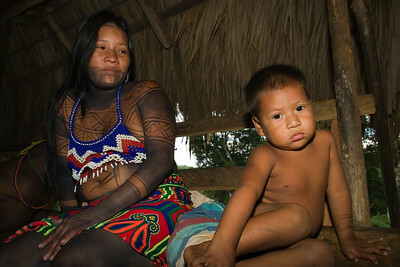 Embera mother and her son, Chagres National Park, Panama. 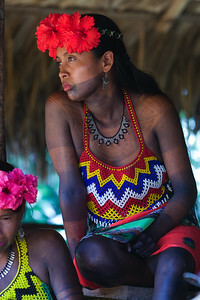 Embera woman in traditional dress, Chagres National Park, Panama.